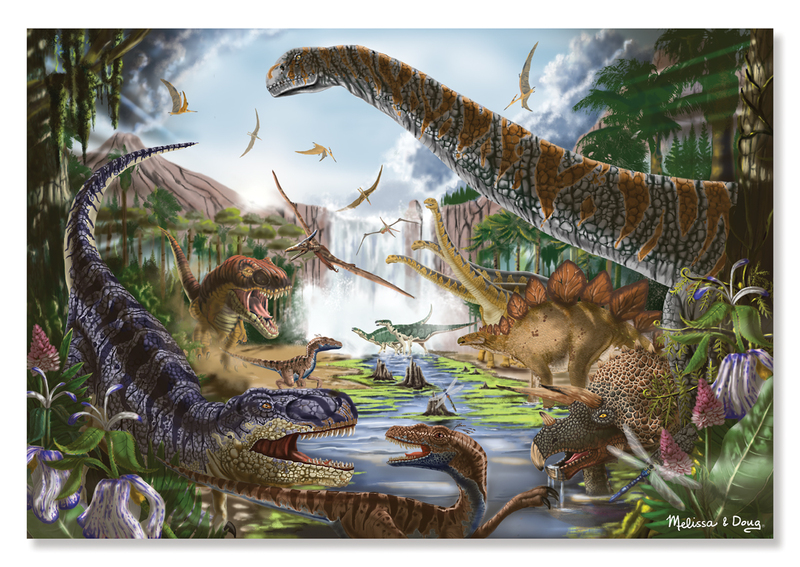 More than a dozen dinos fill this thrilling picture. See the hunters, the hunted, and all the prehistoric creatures gathered around a waterfall-fed water hole. 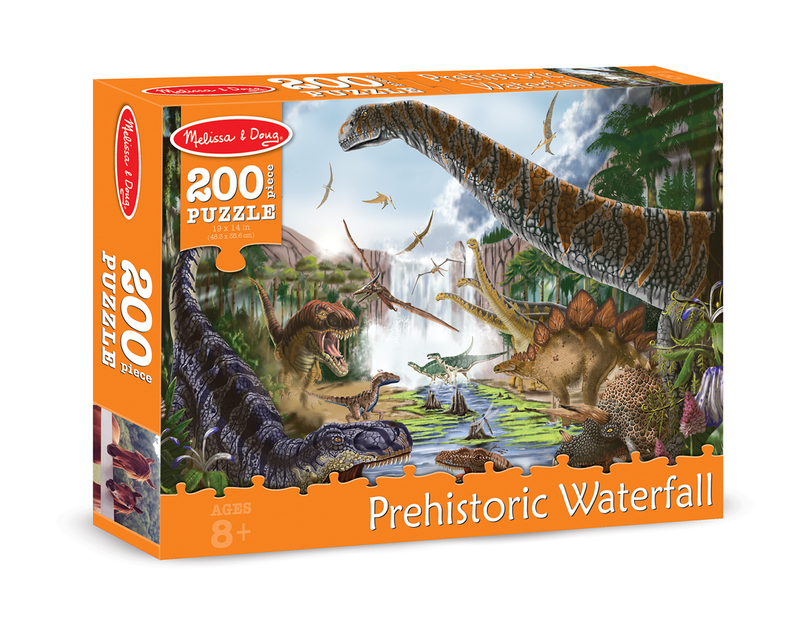 The 200-piece format has smaller pieces for kids who are ready for the next challenge! Melissa & Doug cardboard jigsaw puzzles are made using durable, high-quality materials and handmade dies that make every piece shape unique. The sturdy pieces resist peeling, fading, and creasing, so the stunning high-gloss artwork will stay looking great for years to come! Tags: Melissa & Doug, puzzle.